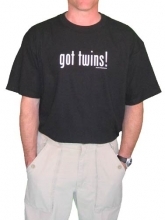 Got Twins Mens T-Shirt Discounts Apply ! 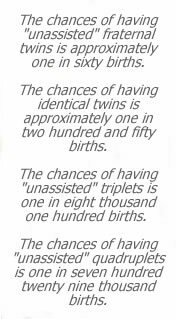 The Got Twins! dad shirt is one of our most popular shirts. A must have for every father of twins, this makes a great baby shower, new dad, or other occasion shirt! The design is screen-printed on high quality shirts in four favorite colors so you can be sure that you'll be giving dad his next favorite shirt!